been a bit more active over the past month. on the recovery since the beginning of the year. moved over the past three months. Belgium which is underscoring the upward price trend. Indian mills to start utilising ozigo peelers. 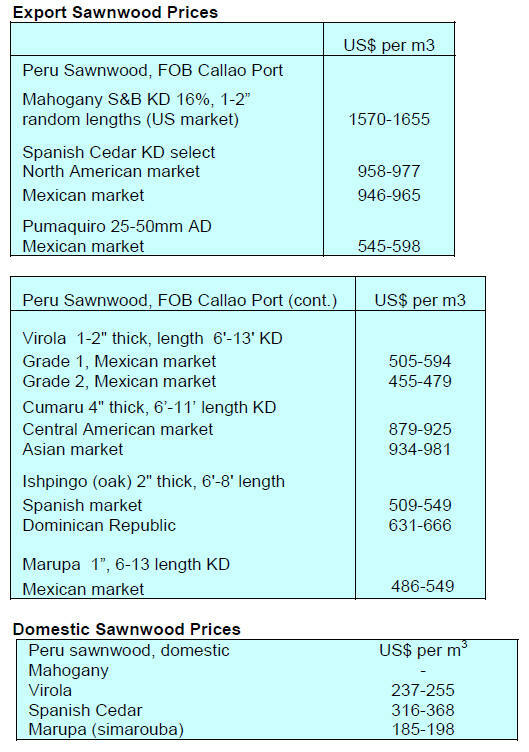 West African logs in China. sawnwood and, more recently, large sawn baulks/slabs. a long term change in market demand patterns. degraded mine sites in the country. needed to halt and restore the country’s degraded forest. which will soften the blow to jobs. discounting in the market as distributers dispose of stocks. 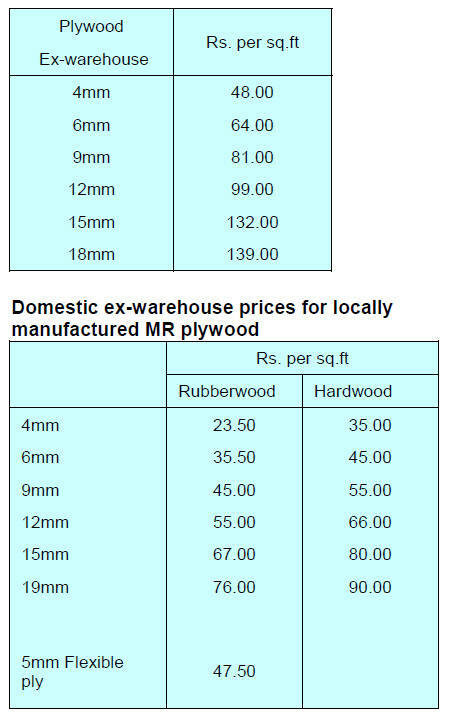 meranti and by extended delivery times. strong winter storm hit the area. 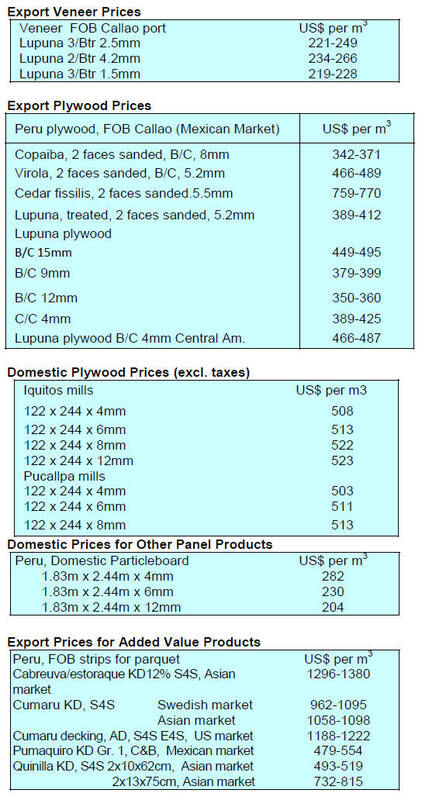 demand for structural timbers and wood products. 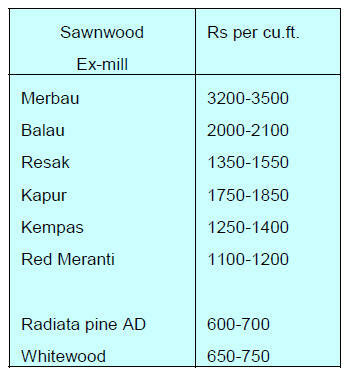 commercial forestry and processing of wood products. attention to this sub-sector of the economy. profit margins are very small. of original designs which boost product value and price. infected with a type of mould. Environment and Forestry through an ITTO project. platform for technology transfer and information sharing. management and uses of forest resources. Borneo’ zone in rugged terrain. export in the same period in 2017 fell slightly. production between the first quarters of 2016 and 2017.
process for the issuance of V-legal documents. million cubic metres of annual production could be lost. looking to recover their costs over several rotations. commodity and, as such, would attract no tax. overruled both MONREC and definition in the legislation. 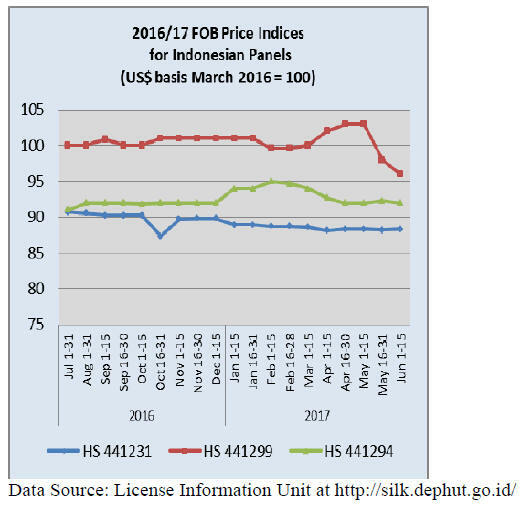 without revision, will mean FOB prices must be raised. provided by the Prince Albert II of Monaco Foundation. strengthening the national forest certification system. for lack of transparency on their harvesting practice. certified letter of transportation related to each PCL. coverage in both regional and national media in India. 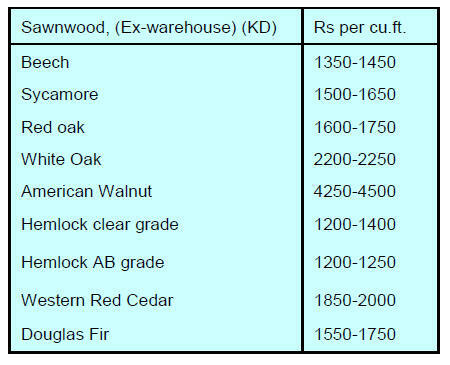 Demand in India for Myanmar teak is declining steadily. Other subjects such as " Wood biomass energy generation"
and "Possibilities in the use of glued laminated timber"
aid to promote the state forestry sector. 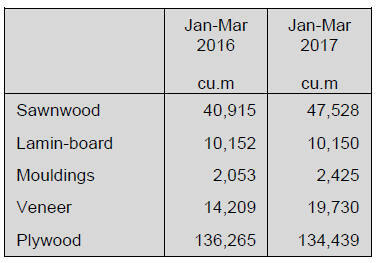 and entities related to the timber sector. needed to further strengthen a sustainable trade. understanding and mitigating the risks. the official website of the Secretariat. by CIMAM and the “Sustainable Pará” Programme. represents an almost 5% decline in earnings in 2017. 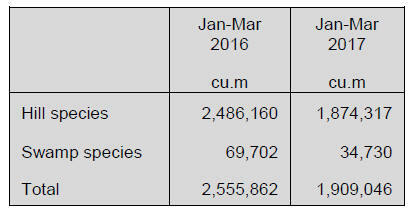 2017 exports were down 34%. Mexico fell slightly in the first quarter of 2017. Under the new powers granted by Legislative Decree No. time when the previous forestry legislation was in force. production but the system was abused.